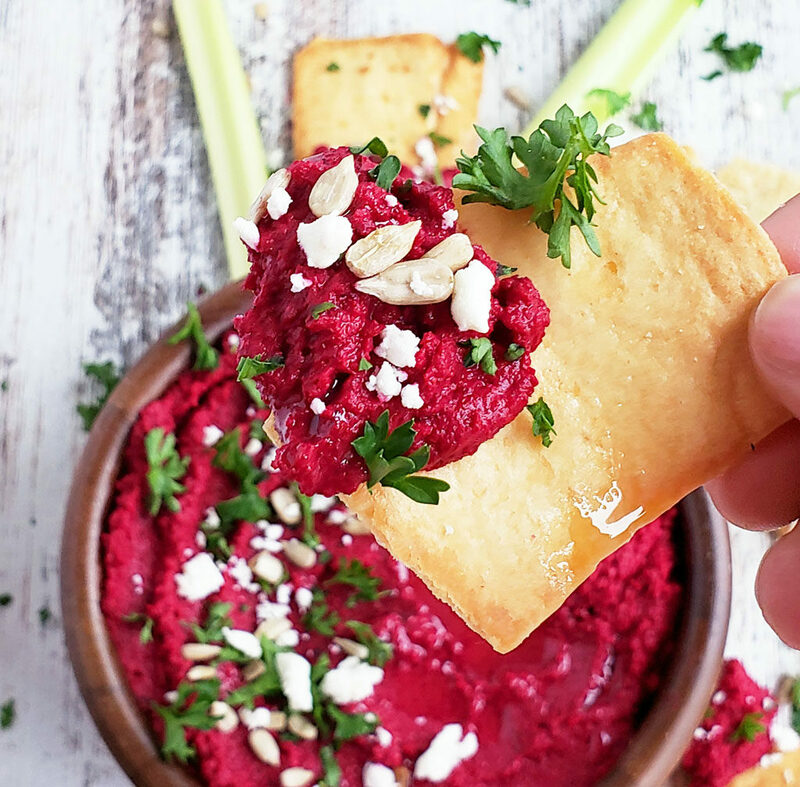 This Easy Roasted Beet & Garlic Hummus is so tasty which makes it the perfect addition to any party or snack menu! Oh yeah, I’ve got the beet!! Lol! I know, I know…that was a pretty lame food pun, but I couldn’t resist! 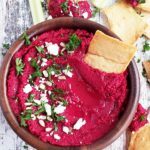 I’ve been experimenting with a few beet recipes lately, such as this Citrus Salmon & Beet Salad and this Coconut Beet Berry Smoothie Bowl…..so I was really excited to try beet hummus! 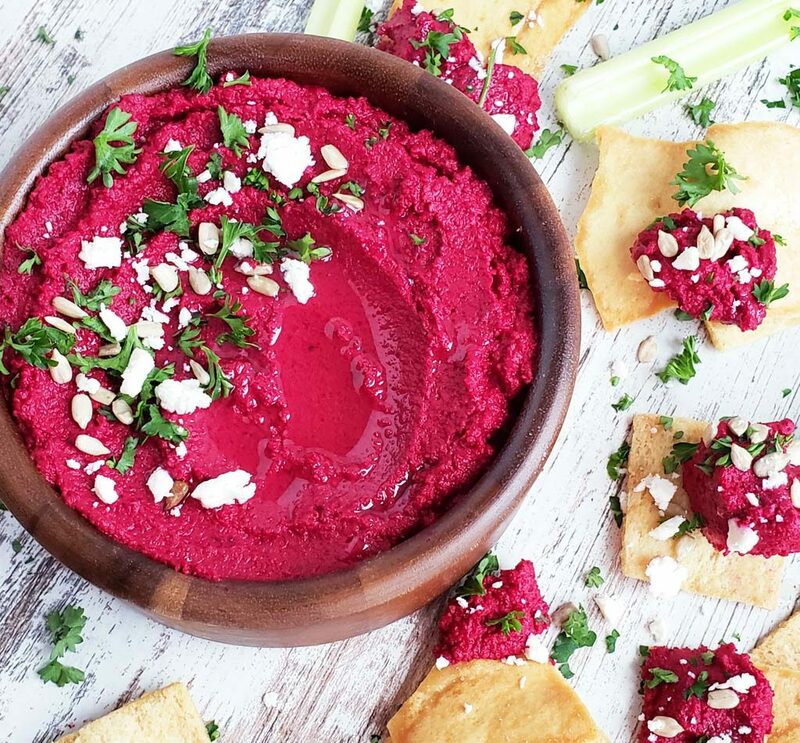 I’d seen beet hummus in the store and I was always intrigued by its beautiful color! Anything that looked that beautiful had to taste good, right?? 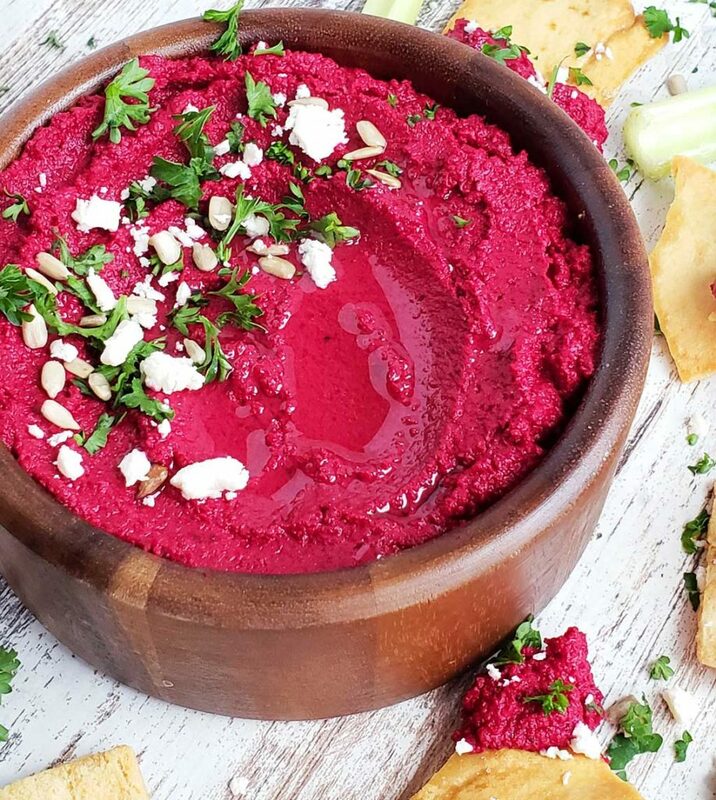 I finally committed to the idea of making my own beet hummus after seeing the most beautiful, fresh beets in the produce section! I couldn’t wait to get them home and test out some recipes! 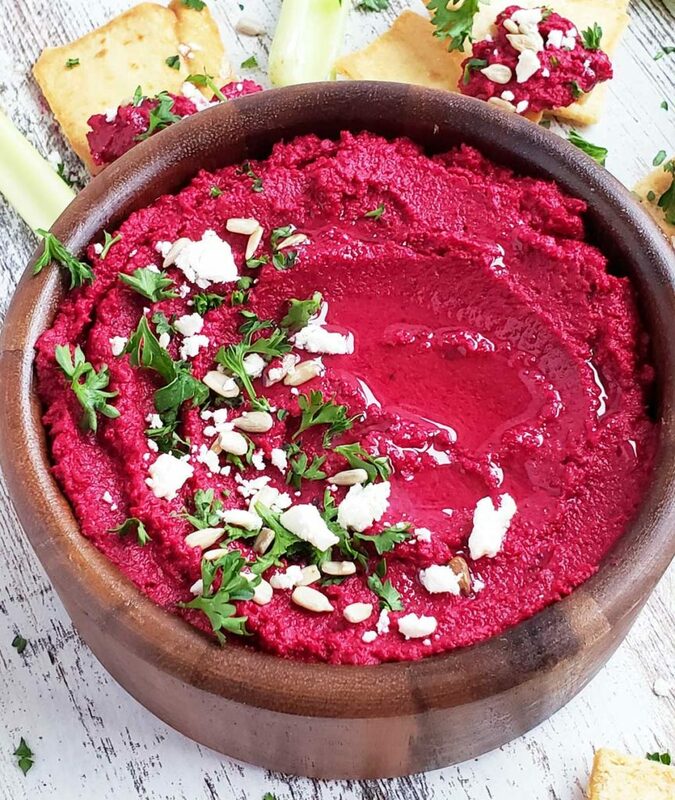 I knew that I wanted my beet hummus to have a delicious, roasted flavor, so I decided to roast my beets and fresh garlic cloves in the oven. 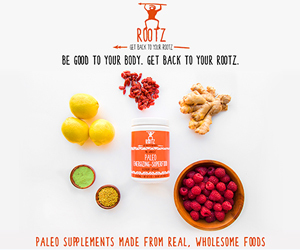 Beets have a very bright color and they can stain things very easily. I used gloves when peeling and chopping my beets because I didn’t want red stained hands! My hands get stained when chopping butternut squash, so I knew that I needed to be cautious with beets! After I laid the beets and garlic on the baking sheet, I drizzled them with oil and seasoned them with salt and pepper. I baked them for about 30-40 minutes, until the beets were nice and soft. I let them cool for about 30 minutes before handling them. Once they were cooled, I added all of my ingredients to my food processor and blended everything until it was nice and smooth. When making hummus, I love to keep a little texture. I like for it to be smooth, but not the texture of baby food…but that’s just my preference! 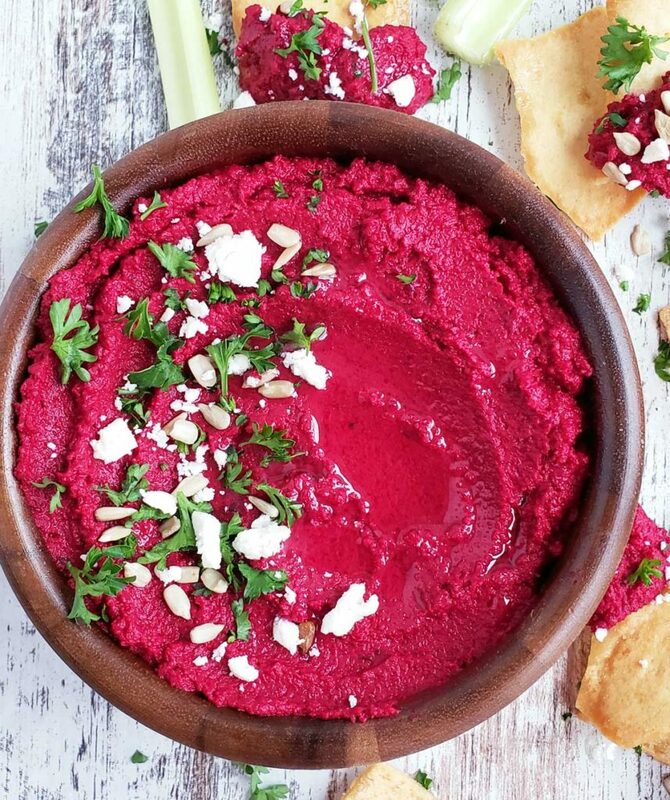 Once the Easy Roasted Beet & Garlic Hummus was done, I topped it with herbs, feta, sunflower seeds and a drizzle of olive oil! It was fantastic! I loved the earthy taste of the beets, paired with the chickpeas. And roasting the beets and garlic beforehand was probably the best idea ever! 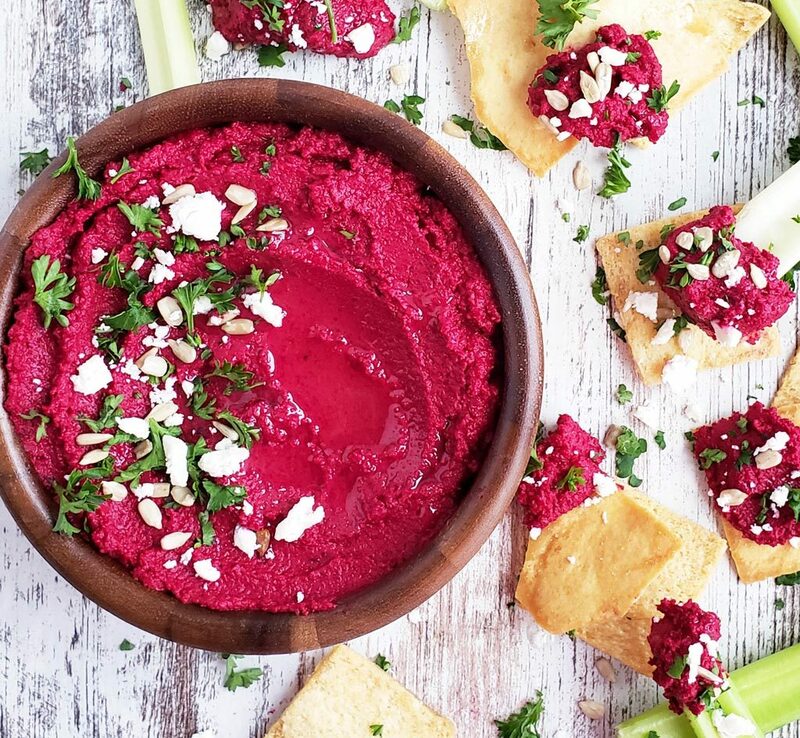 I can definitely see this Easy Roasted Beet & Garlic Hummus being added to our party menus in the future! Spread beets and garlic cloves on a baking sheet. Drizzle with oil and season with salt/pepper to taste. Bake for about 30 minutes, or until beets are soft. Once beets/garlic are done, let cool for about 30 minutes. 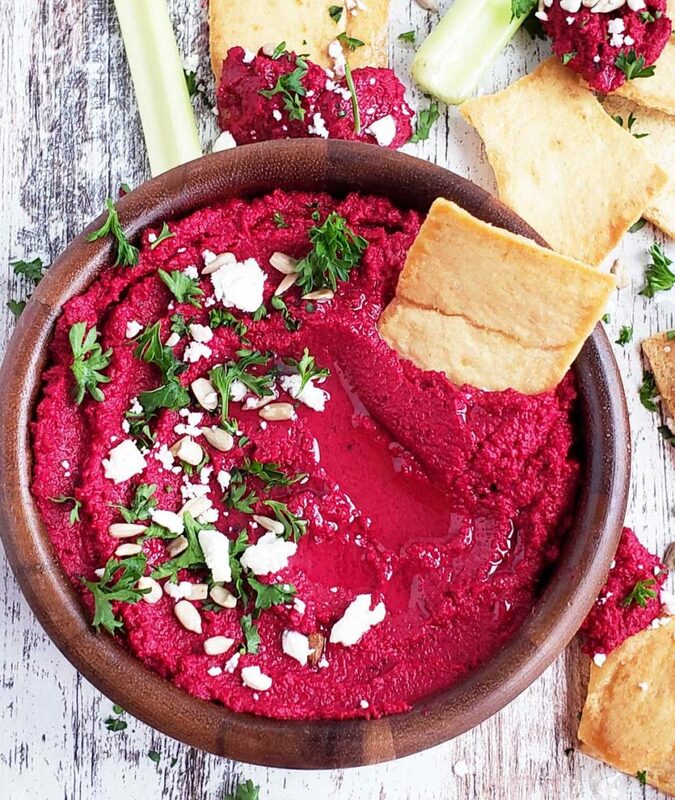 Add beets/garlic and chickpeas to a food processor and pulse until combined. Add water, lemon juice, and tahini to food processor and blend until smooth. Add more water if you would like a thinner consistency. Season with salt/pepper to taste. Top with fresh herbs, feta, sunflower seeds, and olive oil, if desired and serve!